Overall, at 3 out of 5 stars, Nordic Naturals Nordic Probiotic is a slightly above average probiotic. There are quite a few things that I really like about this probiotic. First off, it’s very allergy friendly. It’s free of a lot of the main allergens such as milk, wheat, corn, gluten and soy. This is a big plus since food allergies seem to be so common these days. Next, the capsules are natural (as the name of the company suggests). They are free of artificial colors and flavors and are NON-GMO and certified vegetarian. Third, it’s super easy and convenient to store these probiotics because you don’t have to refrigerate them. The worst is constantly worrying if your probiotics are alive or at the right temperature. Last but not least, this probiotic contains a prebiotic called Fructooligosaccharides or FOS. I like this addition because prebiotics help keep the probiotic alive. This probiotic isn’t safe for kids. It’s also a bit higher than average in regards to cost. 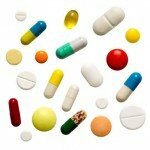 Last, you have to take 2 capsules daily, before a meal and preferably in the morning. Luckily, the capsules are average size and were fairly easy to get down. However, I don’t like the probiotics where you have to think about it too much. I always seem to forget halfway into my breakfast that I was supposed to take my probiotics. Overall, Nordic Naturals Nordic Probiotic is a slightly above average probiotic because it’s allergy friendly, natural, contains a prebiotic and is convenient but it’s not safe for kids, slightly more expensive than average and you have to take 2 capsules daily on an empty stomach. 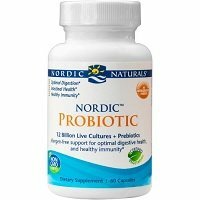 Nordic Naturals Nordic Probiotic contains 12 billion CFUs in 4 probiotic strains. Of note, I like the use of the probiotic strain Lactobacillus Acidophilus. This strain is naturally found in the mouth and intestinal tract. It has been shown to help digest food particles and absorb the nutrients. 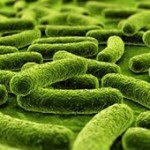 Lactobacillus Acidophilus may be able to help relieve digestive issues such as gas, bloating, and constipation. Some research has shown that it may even help prevent and treat urinary tract infections and yeast infections. Another strain that I like is Bifidobacterium Longum. This friendly bacteria is naturally found in the digestive tract. Studies show that it may potentially help boost immune function, prevent bad bacteria from growing, and help maintain a healthy digestive system. This particular strain may also help with preventing diarrhea that’s associated with the use of antibiotics and lactose intolerance. One of my favorite things about Nordic Probiotic is how allergy friendly it is! I really appreciate when companies are looking out for those of us with food sensitivities and allergies. These capsules contain NO gluten, milk derivatives, wheat, corn, or soy. 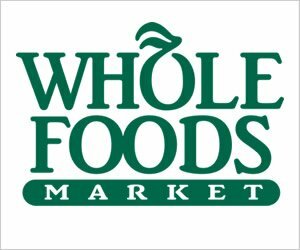 As a perk, they’re certified vegetarian and non-GMO certified. The capsules are more natural, which I really like. They’re free of artificial flavors and colors. Other ingredients include: microcrystalline cellulose, vegetable cellulose, and silica. For 60 capsules, lasting 1 month, it costs a total of $25.46. Since you have to take 2 capsules daily, it ends up being $0.84 a day to take these. That’s slightly higher than average. However, I do think that you get a fairly good value for the price. I was happy because I saw no negative side effects while taking Nordic Probiotic. You can sometimes expect to see some stomach discomfort, gas, or bloating. Thankfully I didn’t have any of those side effects. Unfortunately, I didn’t see any type of satisfaction guarantee from Nordic Naturals. I like when companies can stand behind their products and offer some type of guarantee. Even the return policy seems confusing and limited. 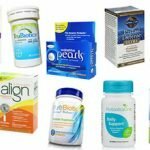 To buy Nordic Naturals Nordic Probiotic, click here. Side Effects I didn’t experience any negative side effects.